Everyone in Hollywood is going nuts over this new Broadway show and it's not "Hamilton"
There is one show on Broadway that everyone in Hollywood is going nuts over, and it’s not Hamilton. It’s Dear Evan Hansen! Okay, you might think we’re crazy by saying Hollywood is not obsessing over Hamilton, because they clearly still are, but there’s a new hit in town. 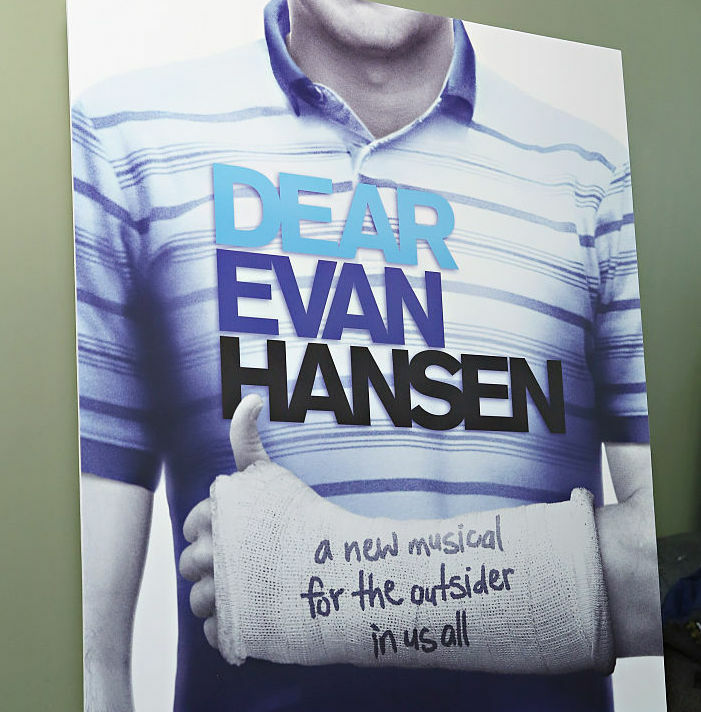 Broadway’s newest celebrity favorite is called Dear Evan Hansen and it stars Ben Platt as the lead, Evan. Just by reading this description we are hooked, but in case you need more proof of how great it is, just look at all the stars singing its praises. With Platt at the helm, Dear Evan Hansen has become a hotspot for celebrity sightings, especially from his fellow Pitch Perfect stars. Rebel Wilson took a day off of filming the movie’s third installment to support everyone’s favorite a cappella magician. “So proud of Ben, who is just so absolutely incredible in Dear Evan Hansen on Broadway right now! Words fail to describe how good he and the rest of the cast are x,” Wilson wrote on her backstage photo. Other Pitch Perfect guests in the audience over the past fews months include newlyweds, Anna Camp and Skylar Astin. Some of Glee’s favorite actors have also been impressed by the musical and now we want to see it even more. What do you get when a Gotham star, a Girls lady, and a Glee guy hangout together? An epic night of musical fun! Even Zac Efron made an appearance and Platt’s reaction is all of us. “Troy Bolton came to see @DearEvanHansen and middle school Ben had a freak out (so did 23 year old Ben). And did he wear a @DearEvanHansen scarf? Bet on it. Bet on it,” Platt captioned the great picture. If you’re in New York City anytime soon, you should definitely check it out! Troy Bolton approves, so you know it’s good.